UPDATE (08:51AM Pacific): Well, looks like Microsoft couldn't wait until E3. They've gone and gotten rid of the Xbox Live Gold requirement and announced a Kinect-free Xbox One. The change will apply to both the Xbox 360 and Xbox One, according to the report. Users of both consoles will be able to access Netflix and Hulu, among "other streaming media apps," without purchasing a Live subscription (which starts at $60 per year). 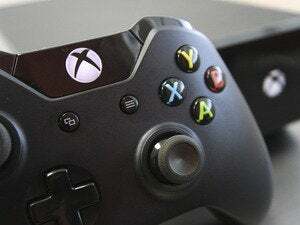 This would bring the Xbox in line with Nintendo and Sony's consoles for streaming media access—Microsoft's long been the only console manufacturer to charge for access to any of these services. Microsoft's hand has undoubtedly been forced by the increasing prevalence of alternative streaming methods: Since the Xbox 360's introduction, video streaming has exploded and is now built into a wide variety of devices—from consoles to Blu-ray players to Google's Chromecast to TVs themselves—for free. Since Microsoft wants its Xbox One to be your entertainment center, this change seemed almost inevitable.